Now available for purchase at our Muncy Branch! Bonner Sports & RV is excited to add a diverse inventory of fully serviced, late model used gas and electric golf carts for sale. 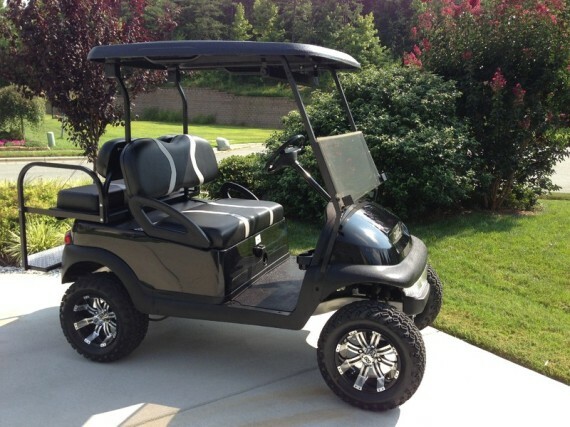 Golf carts aren’t just for golf, they’re great for trolling around campgrounds or river lots! With new inventory added continually, check back often and look for brand names like E-Z Go, Yamaha and more. Golf cart service will be available both on site at area campgrounds or at our dealership. Call us for tune-ups, repairs or installation of your accessories. We have everything you need to trick out your cart. We’ll be offering a wide variety of accessories to get you riding in style. Select from floor mats, windshields, mirrors, storage solutions, cargo boxes, coolers, enclosures and the list goes on.